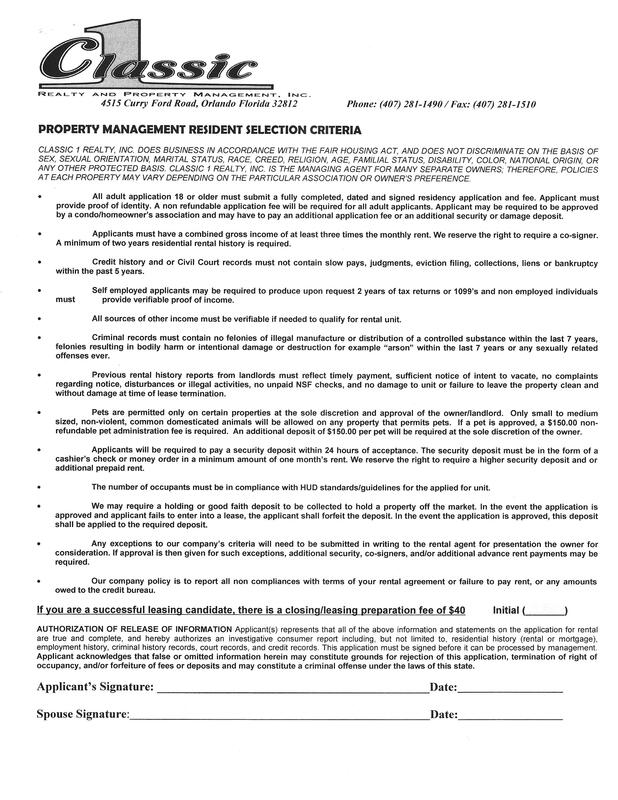 Classic 1 Realty - Classic 1 Realty Rental Application :Rental Application Click on the above link to download, fillout, print and mail each page in it's entirety to: Classic 1 Realty 4515 Curry Ford Road Orlando, Florida 32812 Questions? Please Feel Free To Contact Us We would love to help! Questions? Please Feel Free To Contact Us We would love to help!